Left Right Left, the military memories supplement inside Armed Forces resettlement publication, Pathfinder International, has turned itself blue (or rather red, white and blue) for the occasion of the 100th anniversary of the Royal Air Force. 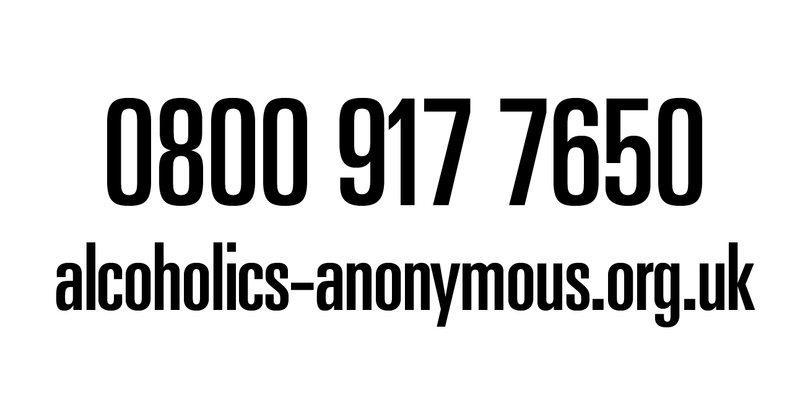 The 8-page supplement, which normally focuses on topics concerning all three of the armed services, has increased to 16 pages and features interviews with some of the RAF’s biggest personalities in its history. 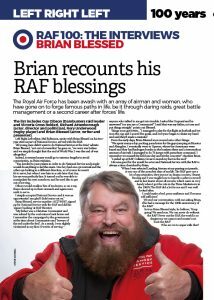 The list of interviewees includes, Colin McGregor (brother of actor, Ewan) on the McGregor brothers’ filming of the RAF at 100 for BBC One recently, John Nichol and John Peters, the Tornado aircrew shot down in the Gulf War in 1991 and actor, Brian Blessed, on his two-year stint with the RAF as part of his national service. Alongside the list of interviewees, author, Geoff Simpson recalls the Battle of Britain, former Air Vice Marshall Ray Lock CBE looks back at his service, whilst 3rd Viscount Hugh Trenchard, opens the supplement with an introduction about his grandfather – the 1st Viscount Hugh Trenchard and who is considered the “Father of the Royal Air Force” – being the service’s first Marshal of the Royal Air Force. 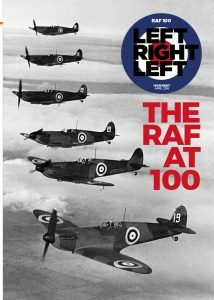 Left Right Left’s RAF100 issue is available digitally and in print for free from 10TH April onwards.